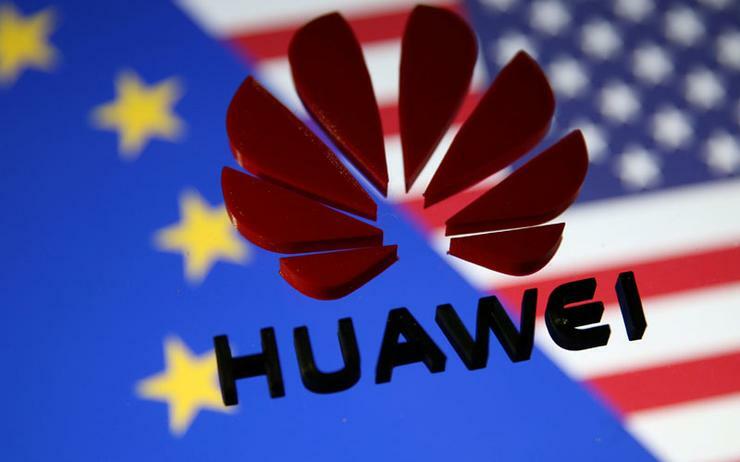 The United States wants to steer people away from Huawei towards Western products because of its concerns over the security of the Chinese company's technology, the U.S. envoy to the European Union has revealed. However, Gordon Sondland said that there was classified evidence on security breaches by the Chinese firm, saying he had raised the U.S. concerns with EU officials. "The U.S. is very supportive of the discouraging the purchase of any Chinese digital products that involve potential national security implications and steering people away from Huawei into Western products is our desired outcome," Sondland told Reuters before an event in Brussels. It derives nearly half of its total revenue outside China and its global reach has come under attack from the United States, which is trying to prevent U.S. companies from buying Huawei equipment and is pressing allies to do the same. U.S. security experts are worried the gear could be used by China for espionage, a concern Huawei says is unfounded. Asked about security issues with Huawei's products, Sondland said: "There is a lot of evidence, most of it classified." Responding to Sondland's comments, a spokesman for Huawei said it had a proven reputation on cyber security and does not buy all of its materials from China. "Only one third of materials used to make Huawei products are sourced in China," the spokesman said in an email. The EU is considering proposals that would amount to a de-facto ban on Huawei kit for next-generation mobile networks, Reuters reported on Wednesday. The United States, Australia and New Zealand are among Western nations that have already restricted Huawei from the 5G mobile networks. As Huawei comes under increasing pressure in Europe, Czech President Milos Zeman met representatives of the company to discuss cyber security and other topics, his spokesman said. Huawei has been excluded from a Czech tender to build a tax portal after the country's cyber watchdog warned of possible security threats, documents showed on Wednesday. "Huawei representatives informed the President about the current state of investment activities and plans for the future,” spokesman Jiri Ovcacek said on Twitter. Zeman, who has long promoted close cooperation with Beijing and has publicly backed Huawei, also plans to meet its chief executive when he visits China in April, Ovcacek said.